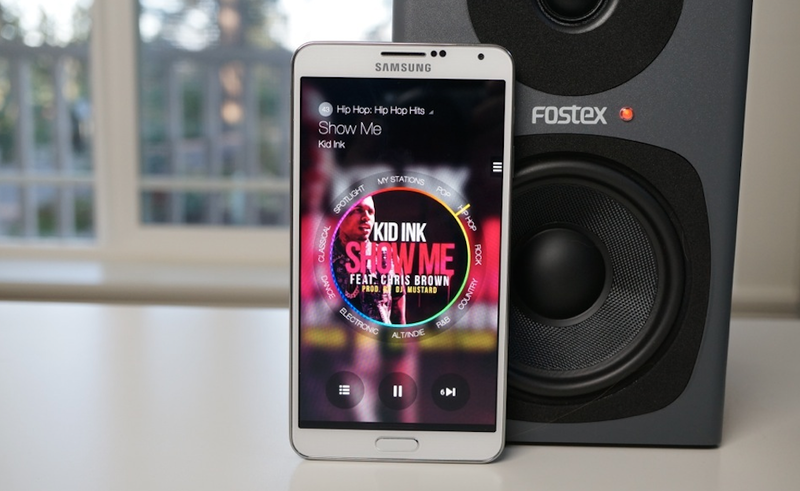 Earlier today, Samsung announced a new streaming music service called Milk Music. All lactation jokes aside, the service turned out to be something all Galaxy owners should probably take a look at. It’s free. There is no registration or setup. And you can be listening to its over 200 genres (stations) and 13 million songs in a matter of seconds upon first launch. Of course, you have to have a Galaxy device to access it legitimately, but that shouldn’t be a problem since there are millions upon millions of you out there. The service features a dual-radio dial setup that allows you to quickly change genres or go station by station to find music for your current mood. You can customize the dial to show only select types of genres (up to 9) and even customize radio stations by artist or song to be added to the dial. You can manage stations, add multiple artists to a station, view a history of your played music, and adjust stations to play songs depending on how new or old they are, how popular or indie they are, and if they are your favorites. It’s bare bones, yet fully featured. And again, it’s free. Plus, the app is built quite nicely. Milk Music, even with its silly name, is completely worth a look if you have a Galaxy device.